Our ZIP has always been a super cool place to work, live and especially play, but that coolness factor can sure get stressed when summer rolls around each year. Yep, from May through September, Alamo Heights can, and does, get pretty darned hot. Hmm, what’s a steamy ‘09er to do when the mercury rises and a little (or a lot of) temperature-tempering relief is called for? Well, for the past 70 years, those in the know (who also own bathing suits) have made that familiar trek to the venerable and wonderfully retro, Alamo Heights Pool – a neighborhood oasis of liquid levity serving and sating generations of locals (and near-locals) all in pursuit of some much needed immersive improvement. So Mr. and Mrs. Sweaty, are you feeling a bit fried this time of the year? Then dog-paddle on down and dip or dive delightfully into the wonderfully reviving waters of our iconic old friend – The Pool. It’s cool, man, cool! It was early in 1948 when ground was first broken on “The Pool” and its supporting structures at its site on 250 Viesca Street (now near the adjacent Little League fields and Nature Trails). As an owned project of the city of Alamo Heights, funding was generated through the sale of municipal bonds and expenses that ultimately totaled an impressive $185,000.00 reflecting the community’s commitment to a first-rate facility. Opening day followed on July 15 of that year amid much excitement that, beyond the hoards of eager swimmers, even included the crowning of a “Miss Splash Day!” The novel city-run undertaking proved to be a hit and for the majority of the next 40 years remained so, annually drawing heated crowds to its soothing shores throughout the subsequent summer seasons. However, owning and operating a large public pool while overseeing a city turned out to be a bit much for the city fathers whose concerns generally focused more on streets, sewers, police and fire departments. As a “quality-of-life resource” dedicated primarily to entertainment, the revenues generated seldom covered expenses. Basically, it was getting harder to financially maintain the infrastructure and staff, and as a result, deterioration began to set in. 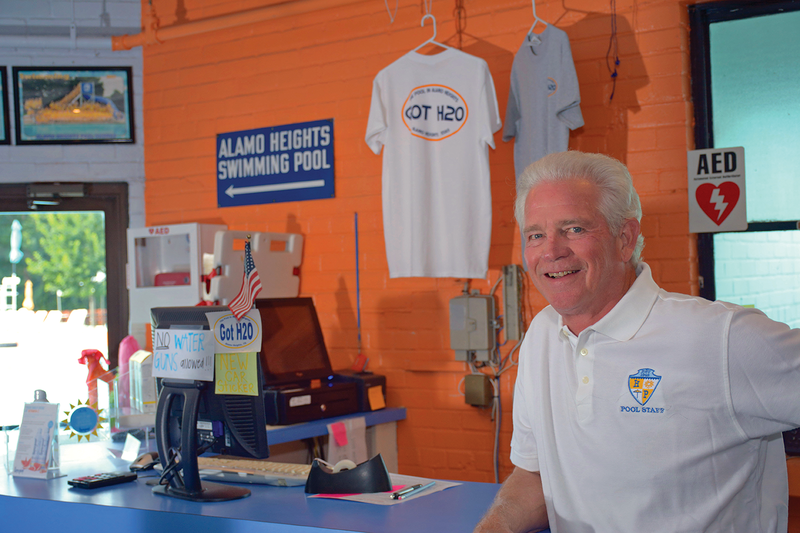 Attendance began to wane and by 1989, the City of Alamo Heights was ready to call it quits and get out of the pool business. Enter area resident, uber-entrepreneur and long-time pool patron Rick Shaw. After a visit to the site that same year he couldn’t help but notice the facility’s “downturn.” Struck by a nostalgic desire to possibly “save the old landmark, a visit to City Hall quickly ensued. 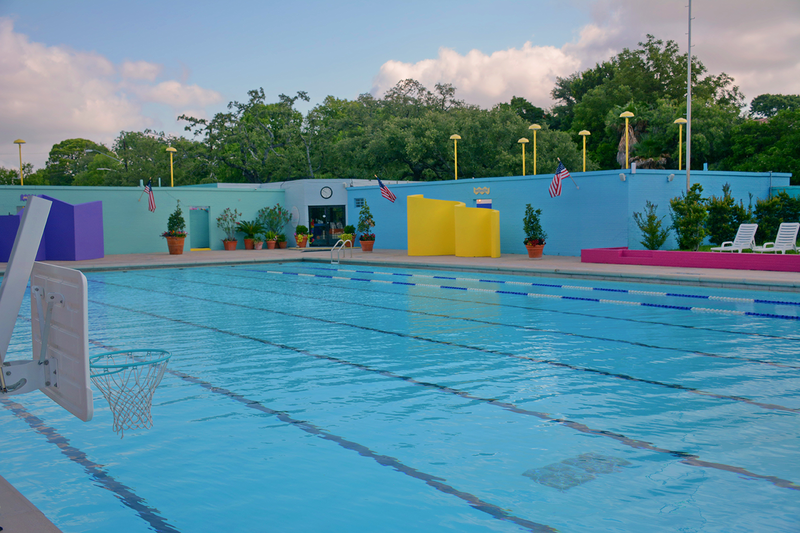 Presenting a proposal to lease the property, Shaw was gratified to receive a “thumbs up” from an appreciative Alamo Heights allowing him to assume the responsibility for the pool’s care and upkeep – a duty he happily accepted. And to guarantee that, since Rick took command 28 years ago, while ensuring excellent water quality at all times remains paramount, on a more visually appealing level, vibrant cool colors now also adorn all structures, acting as an attractive counterpart to the pool’s natural sparkle. Frankly, it’s hard not to smile during a visit. Couple the inviting infrastructure with a warm and well-trained, safety-oriented, cadre of co-workers (all lifeguards are CPR certified) and the entire package really does come across as a little slice of ‘09 H2O heaven. Further enhancing the Pool’s overall appeal is the ample, available poolside seating (perfect for sunning and lounging), but rest assured there’s plenty of shadier enclaves for relaxing and enjoyment as well. Since a day at the Pool can be appetite-inducing, there’s the breezy veranda situated near the dining area where the hungry gather to sup on sumptuous offerings from the grill that not only include perennial, purchasable favorites like hamburgers and hot dogs, but refreshing salads, pizzas and a “to-die-for” cheesy Mediterranean flatbread concoction that’s a favorite with young and old alike. Sodas, beer and wine round out the menu. 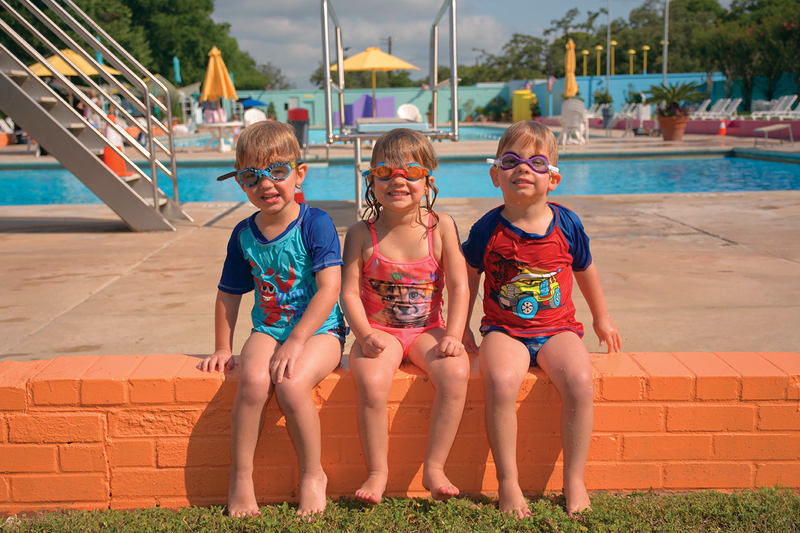 Lastly, besides the pure enjoyment of taking a dip, Shaw and crew also offer professionally-administered swim lessons and sponsor various exciting club competitions and meets. So, can anyone enjoy the Pool, and, if so, how? Well, it’s easy folks, and yes, all are welcome. To simplify things, Rick decided on offering annual family passes that allow unlimited use of the entire complex throughout the season – which lasts from May until September. Mom, Dad and the kids (from toddlers to teens) can show up early and stay late without ever incurring a daily entry charge. Many families do just that – again and again and again – because toasty ‘09ers, The Pool really is just too cool. Happy 70th anniversary, and thank you, Rick Shaw. For more info visit: www.heightspool.com.